Straight talking expertise gained through an in-depth local knowledge. Sanderson Green is an up and coming estate agency based in Caistor, surrounded by the beautiful Lincolnshire Wolds. Due to heavy competition within the industry, Sanderson Green sought the assistance of The Creative Agency to help give the company a competitive edge. The Creative Agency came up with a new marketing concept to assist Sanderson Green stand out from the competition, which incorporated the inclusion of wild flowers on their housing signage. 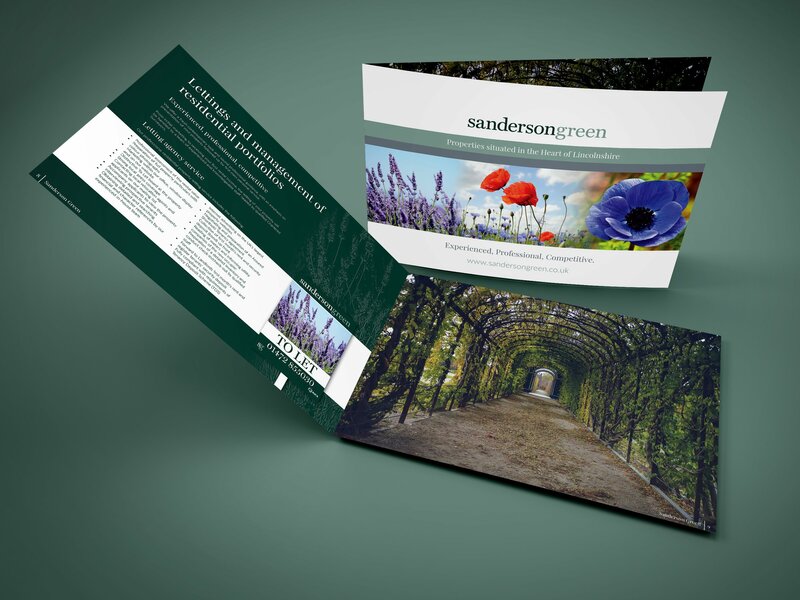 The flowered design concept is now a pivotal part of the Sanderson Green branding and appears on all marketing material designed by The Creative Agency. Look out for the wild flower signs that are now appearing everywhere as this ambitious company grows.